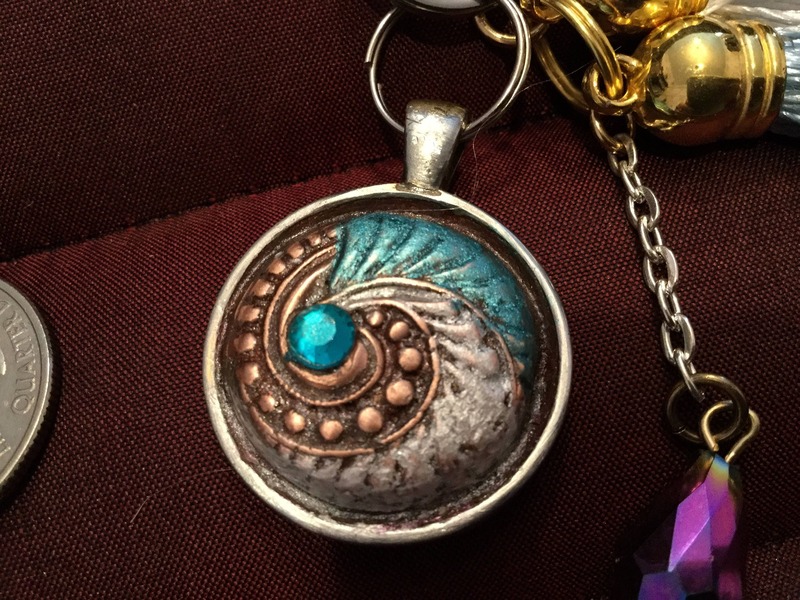 Bronze, with turquoise and silver jeweler’s dyes to enhance the swirl pattern. 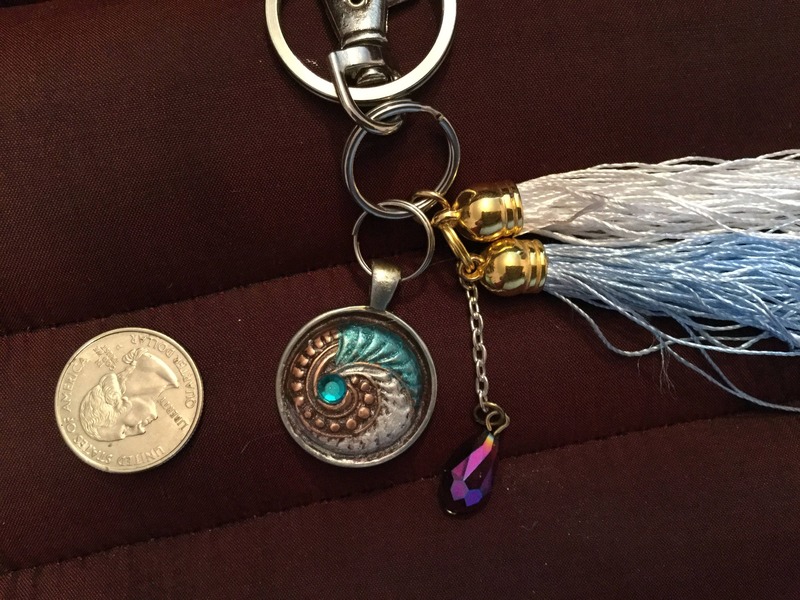 Never lose your keys again. Instead keep them in a very stylish manner and add BAG BLING to your purse, handbag or shoulder bag! 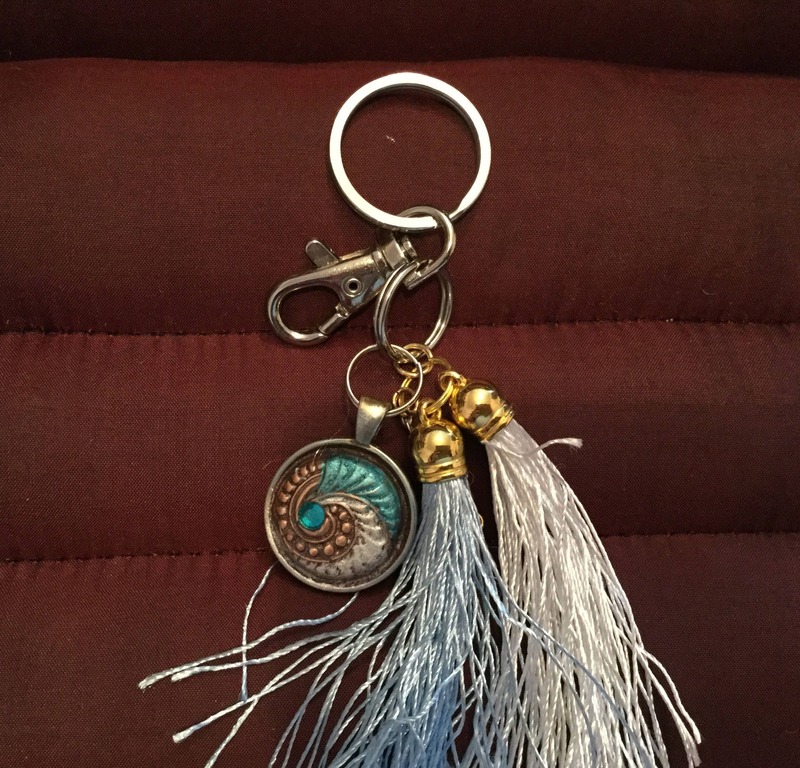 What a great gift for a person with a brand new car, someone with a new house - put those new keys on this keychain! 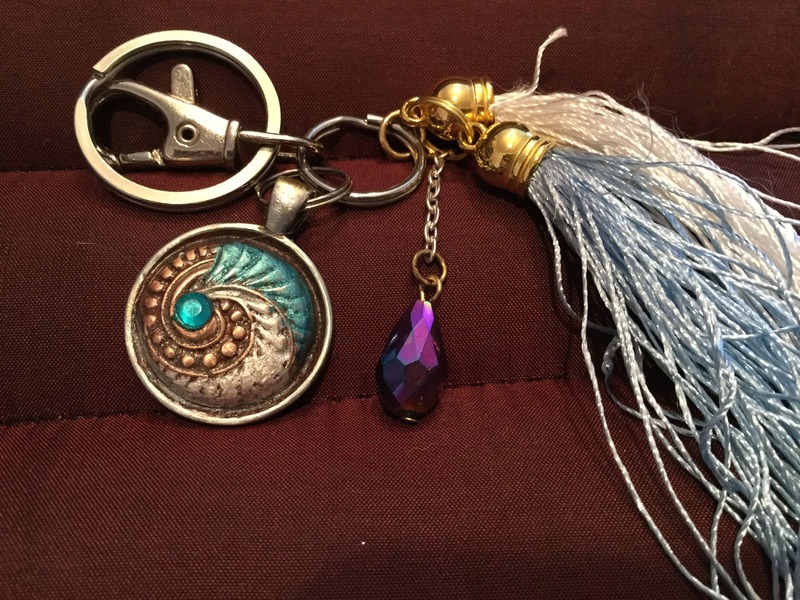 The handsome keychain is made of pure bronze, and the pattern is a nautilus type swirl. 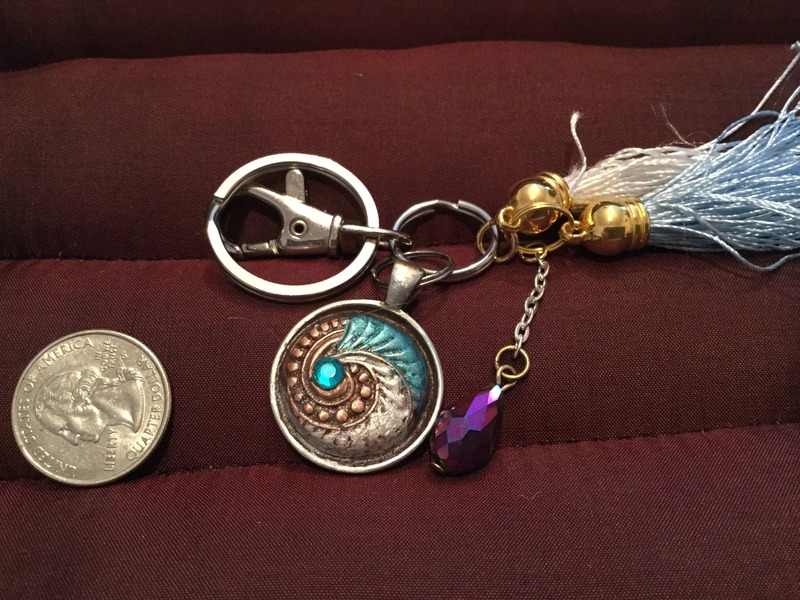 The piece has a large lobster claw clasp to attach to your bag or belt loop and a split key ring to hold all your keys. 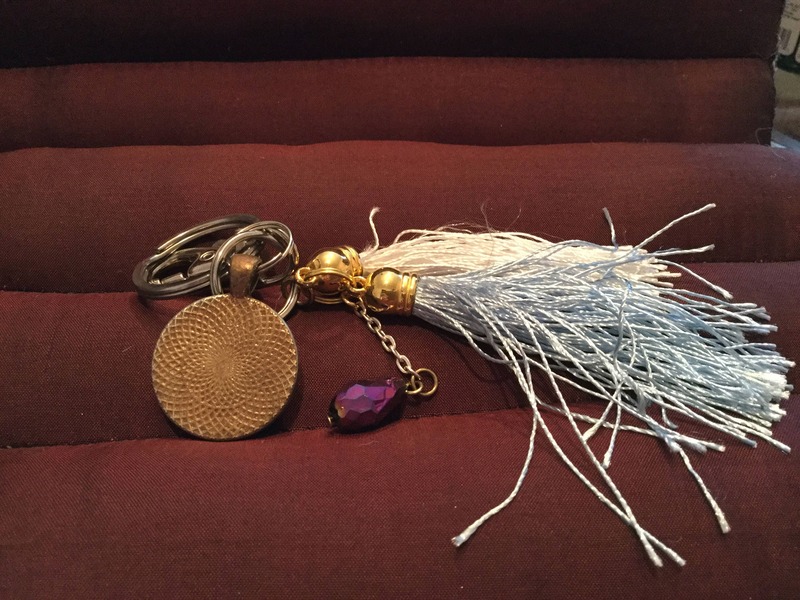 The look is further enhanced with a 3" blue tassel and a 3” Silver tassel (adds a bit of swing) that match the jeweler’s dyes. 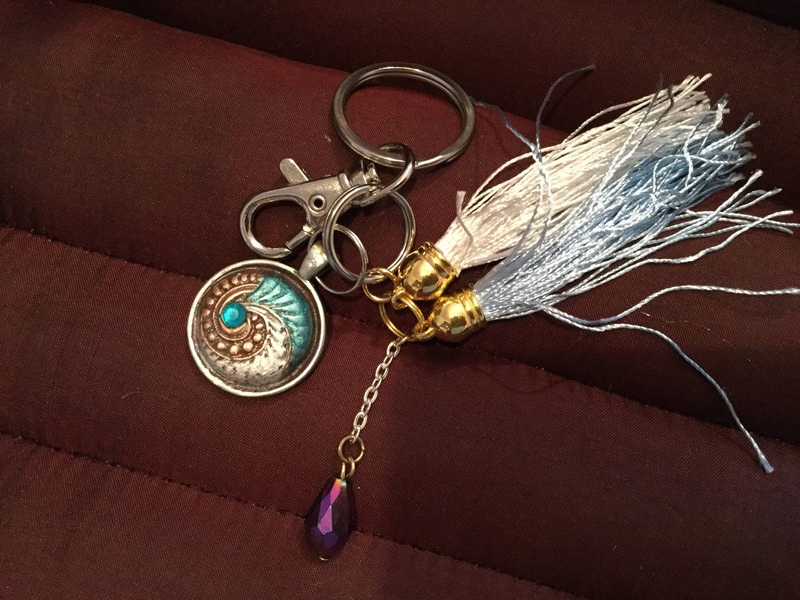 In the center is a large turquoise blue Swarovski Crystal. 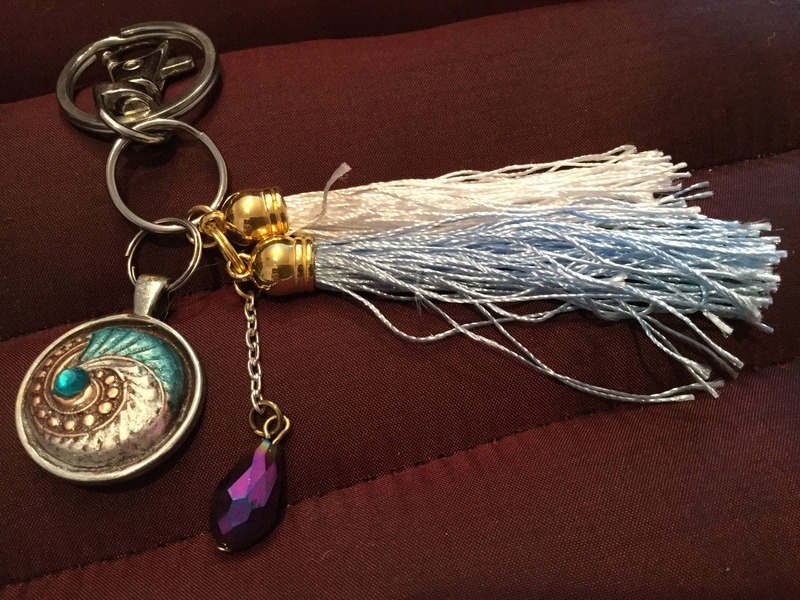 A perfect gift for teens, women and persons who like handmade jewelry. Just the thing for a person with a new house, new apartment or who is a first time driver.